Summer is almost over (sigh) and right now you’re facing a critical dilemma: what to do with your hair for fall. I know, it’s tough. 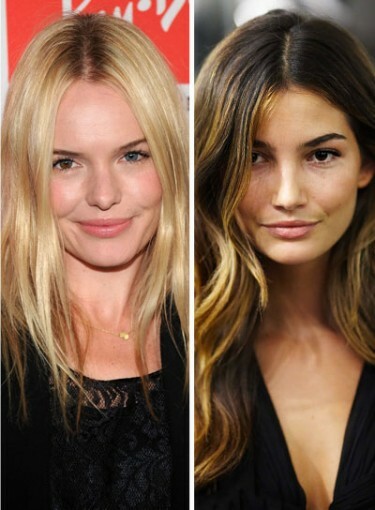 You could: dye it, cut it, or try out a new styling method. What you definitely can’t do: keep your hair the same. I mean, come on, how boring is that? Especially when this fall’s hair trends are so much fun. Your problem isn’t going to be finding one you love — it’ll be deciding which of the many fabulous fall hair looks to try first. Some of the highlights (pardon the pun): natural texture, red lowlights, side swept bangs on long hair and updos that look way more complicated than they really are — translation: you can totally do them at home. Click here to see the best new hairstyles for fall. Now, you won’t be able to try all of them — unless you want to do some serious dye damage to your hair — but you can try enough of them to keep yourself entertained and looking gorgeous all season long. Where did these fab fall hairstyles come from? We grilled Marco Pelusi, of Marco Pelusi Hair Studio in West Hollywood, Calif., Redken hairstylist Guido and Redken colorist Tracey Cunningham. They broke down what hair colors, haircuts and hairstyles will be huge this season, and of course gave us tips to try them on our own. A lot of the fall hairstyles they described came from the runway, but a few came from the good ol’ red carpet. Here are the celebrities who inspired this seasons hair trends: Vanessa Hudgens, Eva Longoria, Jessica Alba, Jayma Mays, Julianne Moore, Kate Bosworth, Kim Kardashian, Lea Michele, and Victoria Justice.